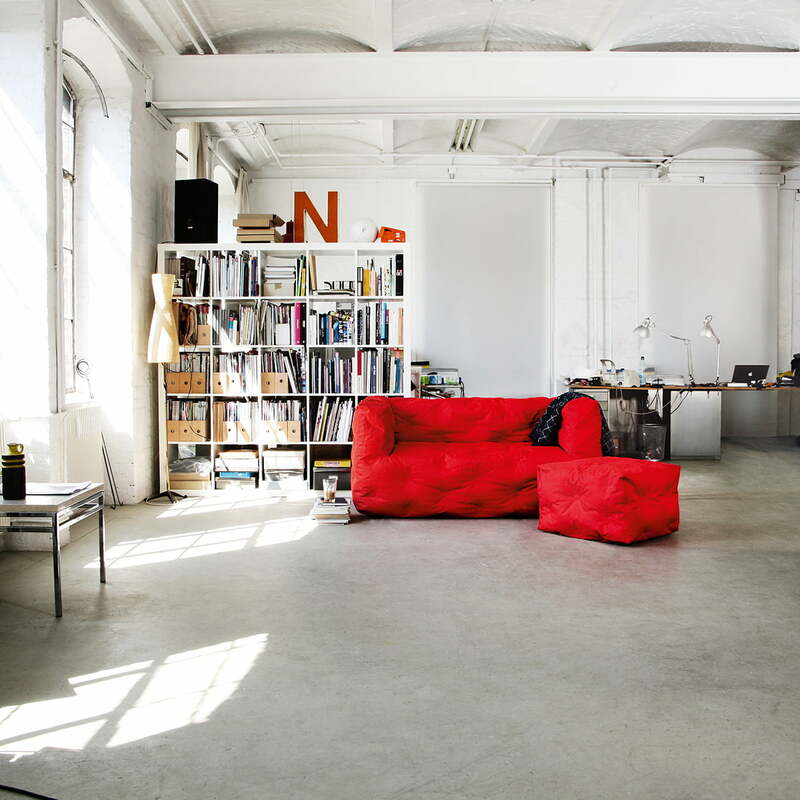 With Couch I Armchair, the Munich-based designer Stefan Diez reinterpreted the sofa furniture for Sitting Bull. For the Chair does not need to gather dust in the summer in the living room, but it can simply be taken outside thanks to the lightweight EPS-filling and weather-resistant materials. No matter whether on the terrace, balcony or in the garden, with the Sitting Bull Armchair you can make yourself comfortable indoor and outdoor. The furniture of the Couch I series for indoor and outdoor areas are covered with a weather-resistant Sunbrella fabric. The acrylic fabric resists colour so that it doesn't fade in the sunlight. In addition, the Sitting Bull chair is water repellent, breathable and mold-resistant. Furthermore, the seating is very easy to clean with a damp cloth or a soft brush. 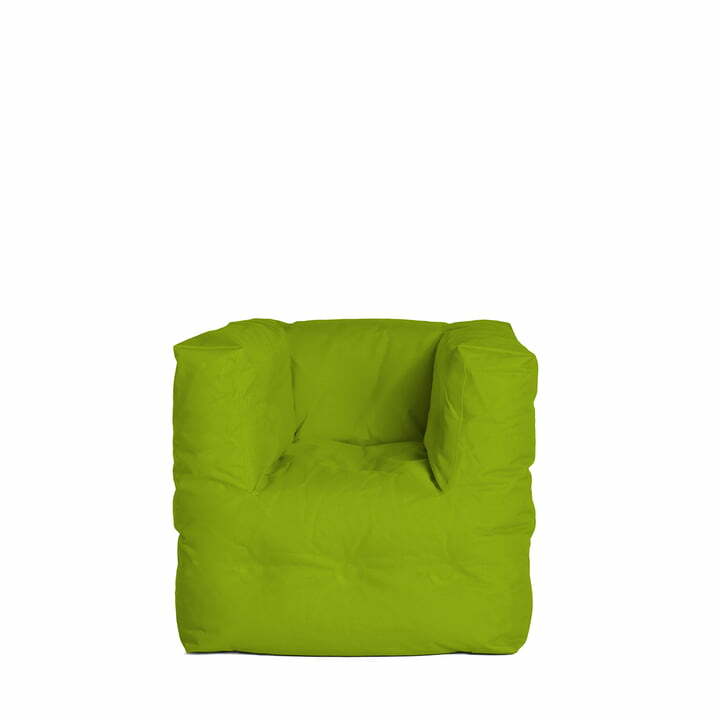 In different colours, matching to the armchair, there are sofas and footstools available. 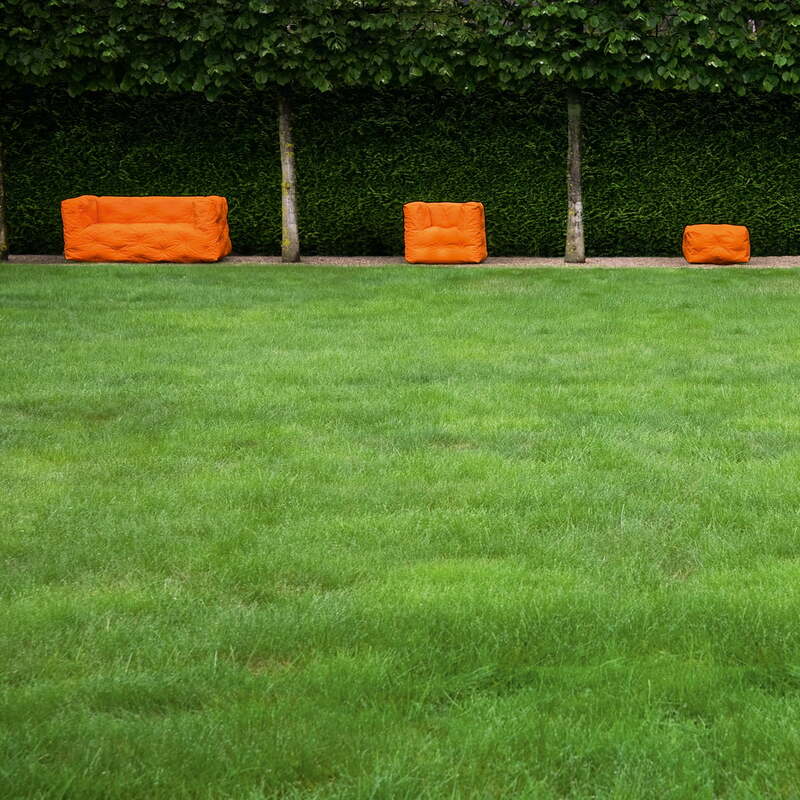 Like that you can conveniently arrange your very own cushion landscape for indoors and outdoors. Single image of the Couch I 2 seater by Sitting Bull in green. With Couch I Armchair, the Munich-based designer Stefan Diez reinterpreted the sofa furniture for Sitting Bull. The furniture of the Couch I series by Sitting Bull for both indoor and outdoor use consists of Sunbrella, a high-quality acrylic fabric that is colour-resistant, dirt and water repellent, breathable and mold-resistant.